Recently, Tomasetti and Vogelstein (the latter a senior and highly regarded cancer geneticist) suggested that most cancer is due just to bad luck. We discussed that study here. When cells divide, DNA is copied, but that is a molecular process that isn't perfect (see discussion of Wednesday's Nobel Prize in Chemistry, e.g., for the discovery of DNA repair mechanisms and their association with cancer). There are mutation detection mechanisms of various sorts (the BRCA1 gene whose mutations are associated with breast and some other cancers, is one with that sort of function). The more at-risk cell divisions, the more mutations, and the higher the likelihood that one cell will experience a combination of mutations that (along with inherited variation) transforms the cell into the founder of a cancer. T and V's assertion based on statistical analysis of numbers of cells at risk, their division rate for given tissues, and age of onset patterns, was that random mutation was a major contributor to cancer, rather than inherited genotype or environmental exposures, which they argue would account for this substantial fraction of cases. Naturally, those whose grant fortunes depending on the idea that cancer is 'genetic' and/or 'environmental' roared in opposition to an idea that could threaten their perspective (and empires). Some of the T and V paper's statistical methods were questioned, and perhaps their paper was over-stated or less definitive than claimed. Nobody can doubt that genetic variation and environmental exposures that could cause cells to be more likely to experience mutations, play a role in cancer. But in any practical sense, it is hard to deny that luck plays a role (even with environmental exposures, because if they cause mutations, they basically strew them randomly across the genome, rather than causing them in any particular gene, etc.). But we mentioned an important issue then that had been raised 40 years ago by epidemiologist Richard Peto. Essentially it is that other mammals, like mice, experience a similar array of cancer types, with similarly increasing risk with age....but that increase is roughly calibrated with their life span. In fact, mice have far fewer stem cells in, say, their intestine or blood than humans, but their risk of cancer in these tissues increases far more rapidly (in years) than does human risk, though we have orders of magnitude more at risk cells and cell divisions. This became known as Peto's Paradox. It has not really been answered though there are some attempts to determine how it is that different species, of different sizes, calibrate their cancer risk in relation to their observed typical lifespan. For example a 2014 paper in Nature Reviews Genetics by Gorbunova et al. documents the very different typical lifespans of rodent species, and suggests some plausible genetic mechanisms that may protect the longer-lived species from cancer. There must be some such mechanism, or else we misunderstand something very important in the carcinogenesis process. Now a new commentary has been discussed in the NY Times of a JAMA paper, that makes similar genetic arguments for the very out-of-line cancer-free longevity of elephants. Based on their numbers of at-risk cells, elephants should drop over with cancer at a very young age, but instead they typically live for a very long time. How can this be? The JAMA authors, Abegglen et al., found that a gene, called TP53, that is clearly related (when mutated) to cancer susceptibility in humans and in experimental assays, at least in part because it detects and effectively kills misbehaving mutated cells. The study included humans with Li Fraumeni syndrome (LFS), a genetic disorder that greatly increases the risk of developing cancer, susceptibility to which has long been known to be associated with variants in TP53, and blood samples from Asian and African elephants. The study needs close scrutiny for methodological issues, but the authors make what they feel, reasonably, is a relevant finding. There is only one copy of the TP53 gene in humans, but in elephants there are 20. In blood cell assays this gene's activity was higher than in humans. 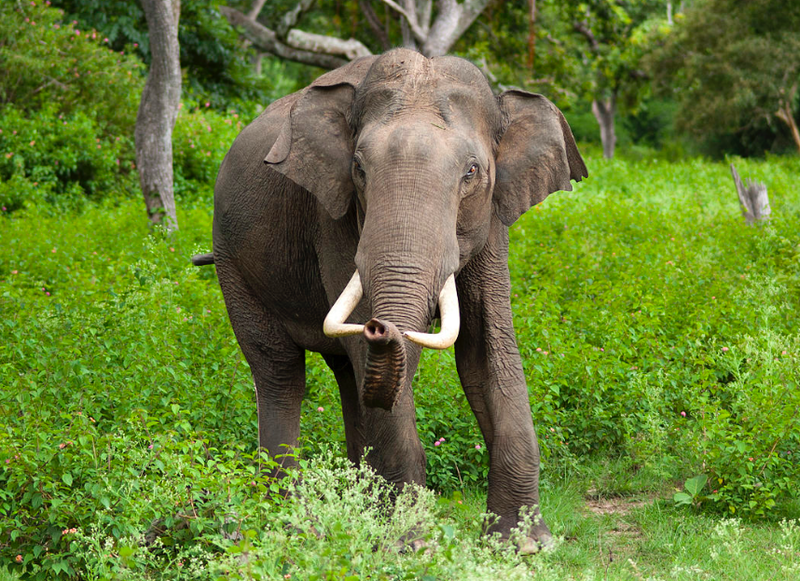 The inference is that elephants' longevity relative to cancer is due to this gene. If that is indeed the (or at least, an) explanation for the elephants' cancer-related longevity, it raises some other important questions, which should at least raise eyebrows and the need for ever-present skepticism. As in the rodent paper cited above, single-gene mechanisms for complex traits are appealing and publication-worthy, but in a sense such claims raise questions about themselves. Elephants live long lives relative to other diseases that essentially have little if anything to do with cancer. One can think of heart disease, dementia, stroke, kidney failure, liver disease, neuromuscular and joint disease, and waning immune systems. Are these traits all due to having more TP53? That seems unlikely. So, Peto's Paradox remains curious. If each species has its own protective mechanism (and perhaps several for its different organ and physiological systems), then we can account in a reasonable way for longevity patterns. There is no need to find, or even to expect the same thing in all species' evolution: variation in response to selection can vary by organ system, species, and location even among species. This is exactly the sort of thing that we should expect when we think of the complexity of genomic mechanisms--and what has consistently been found by genome mapping studies (GWAS) of late onset traits (and, for that matter, even early onset ones). In turn, that means that each paper that claims subtly or overtly to have found 'the' or even a widespread important mechanism related to aging needs to be taken circumspectly. Aging and lifespans are complex phenomena. We will learn from each example we document, as with GWAS results, that a simple anti-aging strategy can't be inferred. It's not likely to be a single magic bullet.